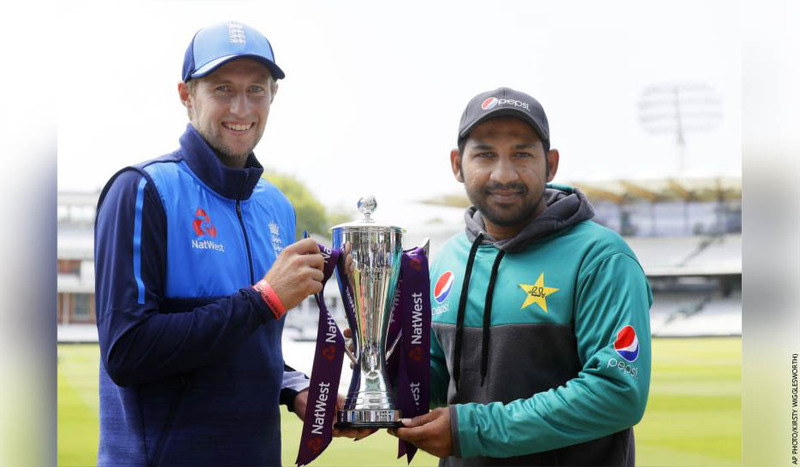 England’s Joe Root and Pakistan’s Sarfraz Ahmed pose with the Test series trophy. LONDON: After a winless winter in test matches, England is hoping the return of a fully fit and focused Ben Stokes will inspire his team to victory over Pakistan. The all-rounder’s absence was acutely felt as England was thrashed 4-0 by Australia in the Ashes at the turn of the year, with Stokes missing following an altercation outside a Bristol nightclub in September 2017. He was allowed to return in March for England’s two-match series with New Zealand, but an undercooked Stokes – who was hardly available to bowl – was unable to change the fortunes of an already tired and depleted squad, which lost 1-0. Having rebuilt his fitness since then, Stokes will be a genuine bowling option when the first test of the summer, against Pakistan, begins at Lord’s on Thursday. “You can see he’s buzzing and desperate to get back out there,” England captain Joe Root said on Wednesday. “You watch Ben train, and he sets the standard. He is a stand-out. If you watch a whole (practice) session, he does everything at match intensity and he helps drive it. Root himself is set to take on more responsibility by moving up to number three in England’s batting order, while the recall of Jos Buttler and debut of 20-year-old spinner Dom Bess will also add freshness to the England squad. Buttler has impressed in this season’s Indian Premier League, while Bess was a surprise inclusion following an injury to his Somerset teammate Jack Leach. Bess has only played 16 first-class matches, but his 63 wickets in those appearances have convinced the England selectors he’s worthy of the opportunity. Bess might not be the only player making his test debut – Pakistan’s squad contains three uncapped batsmen. 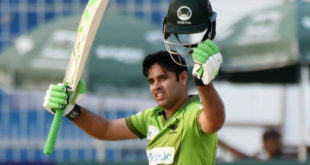 Fakhar Zaman, Saad Ali and Usman Salahuddin could all earn their first cap for a side in a transition, while Imam-ul-Haq – nephew of former Pakistan captain Inzamam – made his bow in the longest form of the game against Ireland two weeks ago. Lord’s holds mixed memories for Amir. The left-arm bowler was banned after being caught spot fixing at the ground in 2010, before making his test return as Pakistan won at the home of cricket six years later. “I was part of the team in 2016,” Sarfraz added. “This team is different. … We had a lot of seniors then, but at the moment we have couple of good young players. ENGLAND: Alastair Cook, Mark Stoneman, Joe Root (capt), Dawid Malan, Jonny Bairstow (wkt), Ben Stokes, Jos Buttler, Chris Woakes, Dominic Bess, Stuart Broad, James Anderson. PAKISTAN: Azhar Ali, Imam-ul-Haq, Haris Sohail, Asad Shafiq, Babar Azam, Sarfraz Ahmed (capt/wkt), Faheem Ashraf, Shadab Khan, Mohammad Aamir, Mohammad Abbas, Rahat Ali.